The cottage is composed of 3 rooms, it has been our home for 18 years, so it has remained fully equipped to make your stay as pleasant as possible. 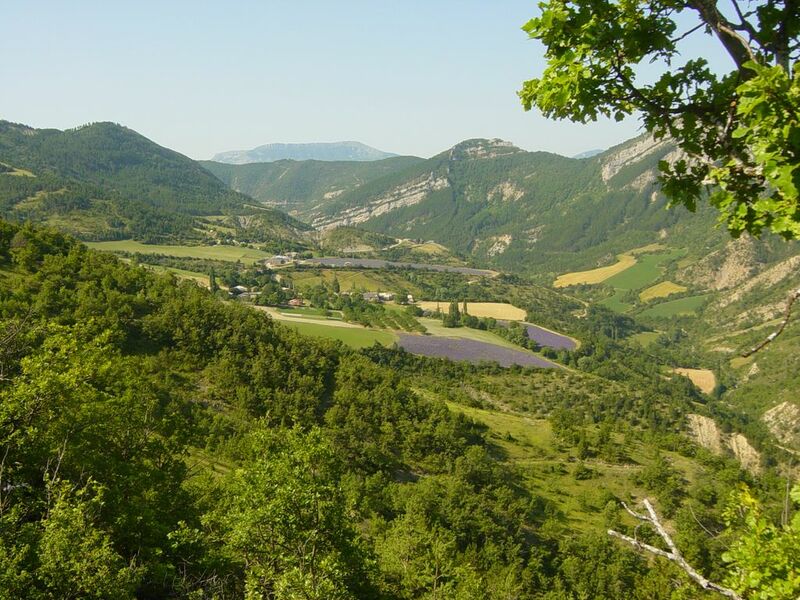 Between Diois and Drôme Provençale, come and enjoy the quiet of the house located in a medium mountain hamlet (700m) from the town of Brette. Many excursions are possible from Brette or Saint Nazaire le Desert. Swimming is possible in the crystal clear river. Located near a farm, you can over time come to discover life at the goat (milking goats, the birth of kids, ...) and the culture of lavender. The cottage Lavande is equipped with a kitchen, it has 3 bedrooms, a living room and a bathroom. The cottage Alambic is equipped with a kitchen, it has a bedroom, a living room and a bathroom. A few steps from the cottage, 2 petanque courts are at your disposal. You can rest or enjoy the sun in a part of our garden that is at your disposal or under the veranda for the cottage Alambic. In Saint Nazaire le Desert, 10 minutes drive you will find: a grocery store, bakery, inn, bar, internet public postal agency-space, a store of regional products, the municipal swimming pool and snack. Friday morning market brings many artisans and local producers. Many events and village festivals take place throughout the summer in the surrounding villages. The town is very well covered by mobile phone networks (all operators) and you can have access to 3G from the cottage. The cottage Lavande is classified in furnished 3-star tourism for 5 people with a maximum capacity of 8 people. The lodging Alambic is classified in furnished tourist 2 stars for 2 people with a maximum capacity of 4 people.